Seven months later, I've finally filmed how we planned our wedding! I know this has been highly requested, and can't wait to share these details with you. Some of you might've already gotten a sneak peak from my photographer's blog here as well! I mentioned in the video that I would also link other alternatives I would also consider if I were still planning a wedding. Because of the lengthy nature of this video/post, I'll write separate posts on other wedding ideas -- that is, if you would all like! Feel free to comment below with any specifics on what you'd like to know more about whether it be dresses, decor ideas, etc. If you'd like a video version, please take a look at the YouTube video above, otherwise keep on reading for the quick version with pictures as well. Peter had no idea what to do because I explicitly told him that I didn’t want an engagement ring since I’m not a big jewelry person. 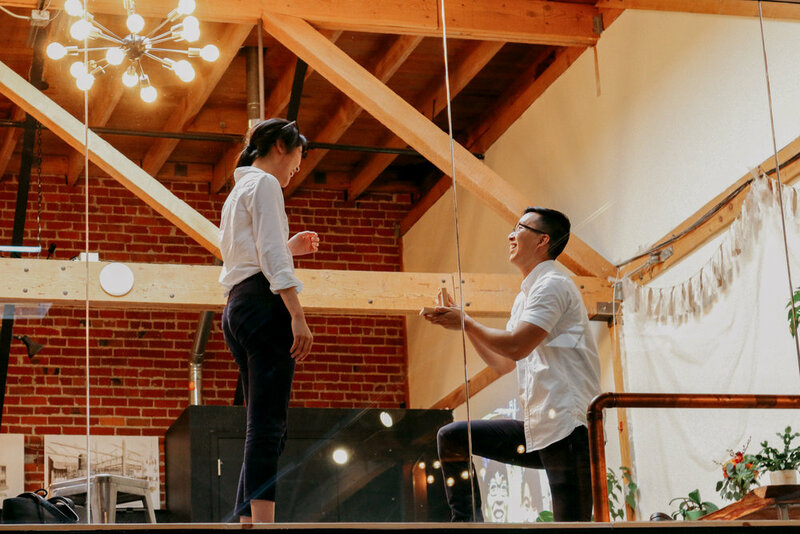 Instead, he decided to propose with a necklace from Brilliant Earth, which is a jewelry company based in SF that seeks ethical sourcing. I only had one maid of honor which was my sister. We went on a sister trip to New York City to do what we love most -- explore a city for what it is, and eat lots of yummy food. She captured a few of those moments on her polaroid camera, but we kept it simple by just having a fun experience in the city that never sleeps. Because my sister was the only bridesmaid for my wedding, she was the one who planned my bridal shower, and I didn’t push her to do everything completely zero waste since I knew of the pressures it would put on her. She did try her best though, and bought compostable plates for the guest, though of course I used my own reusables haha. The games only used paper as well, and the prizes she bought for guests were little succulents and package free soap from Whole Foods (very me). For gifts, I did make an Amazon and Etsy wishlist with sustainable home goods but also got a lot of plants. My friends can read my mind! My sister recently got married last summer, and when I was looking for dressing to potential rent or buy secondhand, she jokingly suggested that I use her. I ended up doing that, made some alterations, and purchased an organic lace topper from Etsy to make it a slightly different look. I wore my Sseko Sandals with special lace ribbons as my shoes to complement the lace of the dress. I was able to rent my sister's bridal gown through Vow To Be Chic so we wouldn't have to accumulate more bridesmaids dresses, and the men were also able to rent their day of suits and shoes through Black Tux. It's a great option if you don't want to have more clothes clutter. For our wedding rings, Peter and I went back to Brilliant Earth to purchase simple wedding bands that matched. I barely wear makeup, but asked a close friend who is a makeup artist to help me on my special day. I have yet to explore the zero waste makeup realm, but if I discover anything new I will be sure to let you all know! I'm sure there are many beauty brands coming out with more zero waste, refill, and cruelty free options. I also went to a hair salon day of since I'm not the fanciest gal when it comes to hair. They were able to give me an updo which was held up by only bobby pins (and many), but they are still being put to good use in my hair today. Peter also requested a flower crown for the big day (he’s so into that stuff, I don’t know why haha! ), and I was able to work with my florist to make sure there was no plastic in the crown -- it was made only of twine and florals! Our motto here was to keep it minimal, less it more (money wise too! ), and make sure your guests have a bomb time! To invite our friends and family, we leveraged Paperless Post and Google Sheets to plan out every little detail for our budget, guest list, and more. 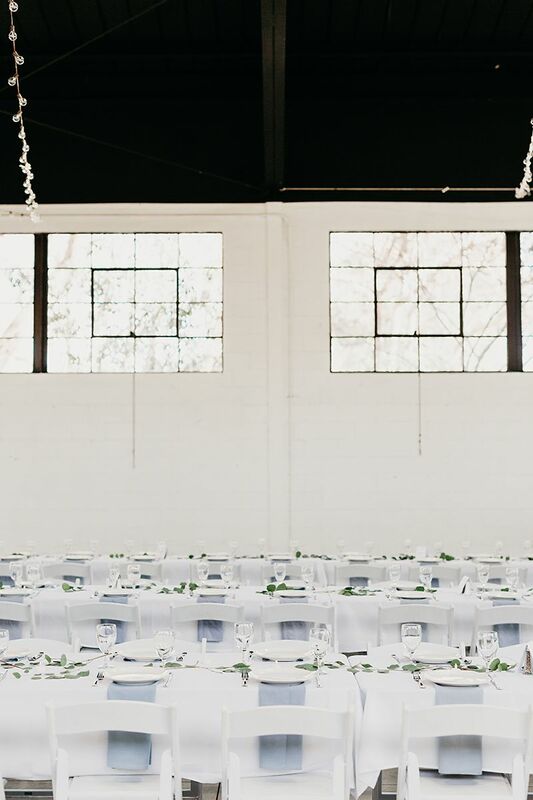 For the event space, I sought inspiration from Pinterest of course haha -- you can see my board here -- and looked for spaces with white walls and plenty of natural light. We ended up going with Building Q at Alameda County Fairgrounds, and our color theme was green, grey, and white. Very very me. All the decor was rented if possible, or bought used -- chairs, linens, and electronic equipment were rented, and the string lights were bought used off of Craigslist then resold after the wedding. We used large screens in our ceremony for lyrics for worship songs, and also for entertaining in the during the reception. I also accumulated my own mason jars and used fake candles from my sister’s wedding to line the aisle of the ceremony, altar, and reception tables. For printed goods, we opted for no programs, but printed a guest book from Artifact Uprising, a recommendation from our photographer -- their books are made of recycled paper, and other products may also have a sustainability story. The only thing we printed on our own was name and table tags on card stock, which could be recycled. Kathryn from Going Zero Waste also helped me print a poster for the seating chart. I repurposed an easel I’ve had since high school which I used to use for presentations to hold the chart up. Floral decor was also minimal as I didn't like the idea of wasting a lot of flowers for one day. 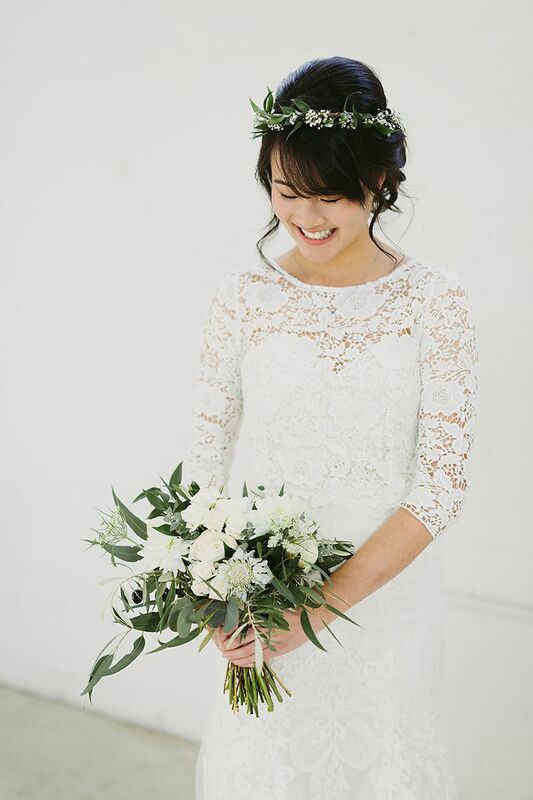 I worked with a local florist in San Francisco, Farmgirl Flowers, that only sourced seasonal varieties. I asked for no plastic in the order, which was great since they only used twine, paper based material, and a few metal pins for the floral arrangements! I also got a smaller bridal bouquet compared to their largest size, the smallest for my sister, and flower crown as mentioned. For decor, we also got one garland for the altar, and simple eucalyptus branches to line the tables. We opted for a buffet, and the chef was keen to make sure there was little food waste (he had quite of bit of experience planning for these events). 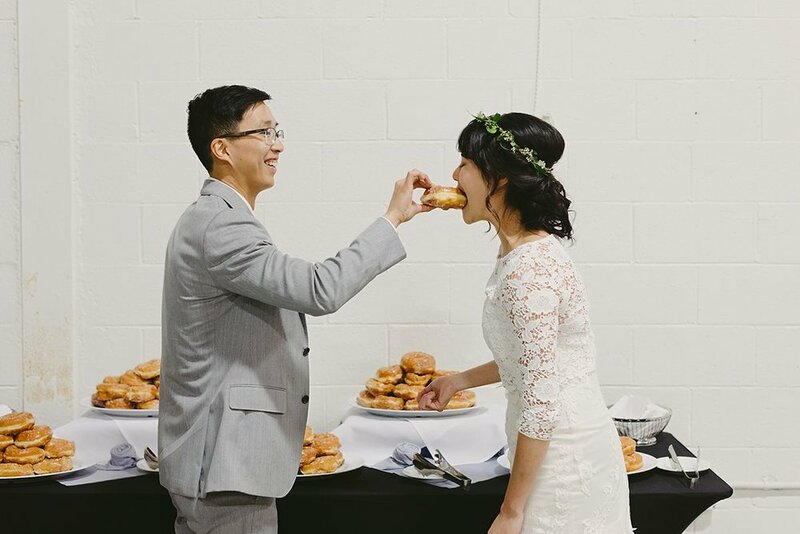 Some of my friends are also vegan/vegetarian, so we made sure there were those options, but there was still meat at our wedding, as many of our friends regularly eat meat -- we did want to make sure our guests enjoyed the food, which can be one of the most important aspects of the wedding. All the food was served on reusable dinnerware, and we were so lucky that the food could also be composted on site. Unfortunately I did have one hiccup where the bar used plastic cups and some straws (AHHHH!) but my wedding planner and I looked at each other, and she told me she’d try to make sure they would be recycled. Things happen, but you do what you can! Instead of a traditional wedding cake, we went for our favorite local donuts. They were a hit! We rented a photo booth for our guests to capture memories, and leveraged the digital screens from the ceremony to project videos of JUST DANCE. I’ve always DREAMED of having a Just Dance party at a wedding, because it gets everyone on the dance floor. My dream definitely came true that night. 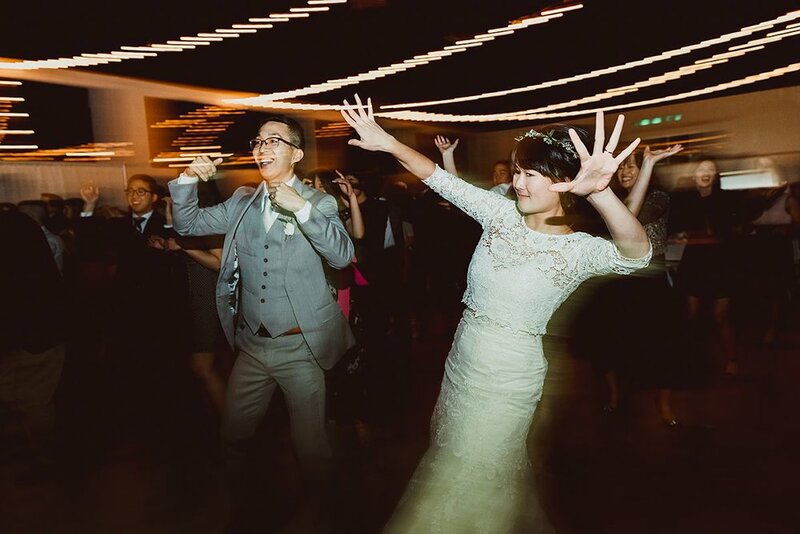 Peter and I decided against giving out gifts to our guests to reduce waste, and focused on making sure everyone had a fun time at the wedding with a great night of food and dancing. For our own gifts, we tried to keep it clutter free by having a small Etsy and Amazon registry with sustainable goods, but primarily asked our guests to contribute to our ‘honeymoon fund.’ This is actually common in for many Asian cultures, so we didn't have too much of an issue there. 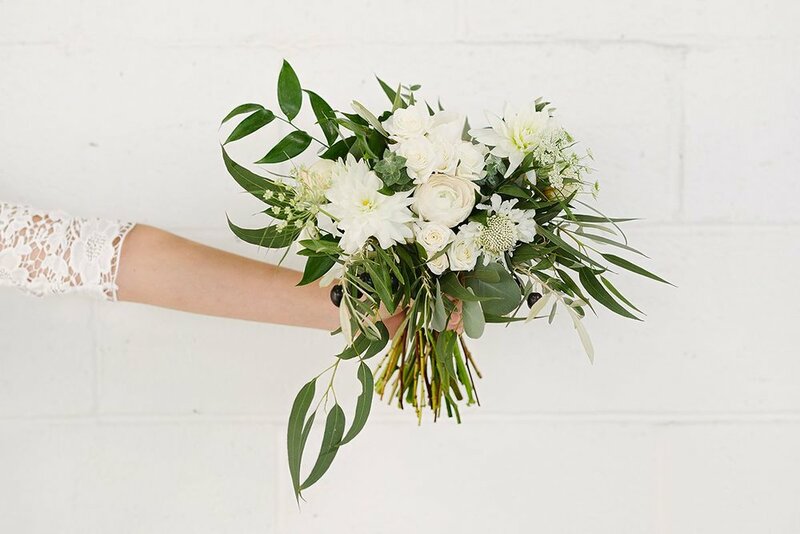 Of course, we wanted to thank some of the people who made our special day possible so gave the bridal party shoes from one of our favorite brands, Nisolo, and other helpers gift cards to delicious local restaurants that they could hopefully enjoy in the future! A big thank you to Kelly Brown for capturing this special moment of our lives, and Shannon Yang for coordinating our special day. We couldn't have done it without you two!